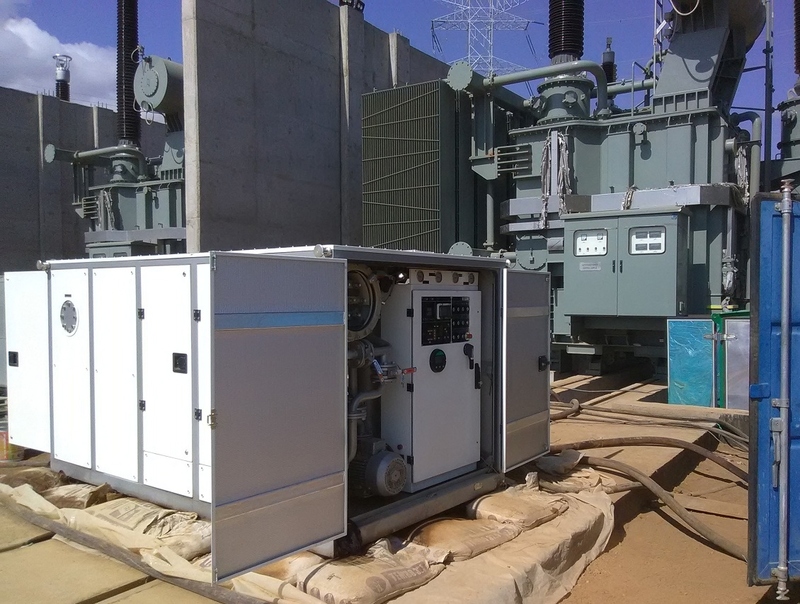 A СММ-10 Unit Servicing Transformer Substations in Kenya - ! Equipment for Transformer Oil Reclamation. GlobeCore. GlobeCore engineers spent a week in Kenya (1 – 7 October) to commission a CMM-10 unit. The unit was installed at Suswa substation and was used to purify electrical insulation oil and to fill transformers with the oil. The capacity of the CMM-10 in degassing, drying and filtration mode is 10 m3/hour. ISO 4406 purity -/14/12 or better. The CMM-10 was operated for many hours at the substation and performed exactly as specified. To place an order for this or another type of unit, please contact one of our sales managers.